I decided to give little treats for St. Patrick's day. I wanted to use the pot of gold containers and beer cozy for my friends this year. I have friends that do drink and some don't. So I scour the valley for both, oh my it was a challenge to find the little buckets. Boy I sure didn't have a hard time looking for the beer cozies. I cleaned out one Joanns, in Spanish fork for the little pot of gold containers. My sister found just one set in American fork. So this past Saturday, I went again to look at American fork store but didn't find any except the cozies, but ended up buying some embellishments for my other scrapbooks projects. How can you past up a 50% sale on scrapbooking embellishments. So I drove north to Draper, which is in Salt Lake County. It's about maybe 10-15 min drive from American fork. I checked the Joanns and no luck no buckets. But of course just the cozies was all I see. 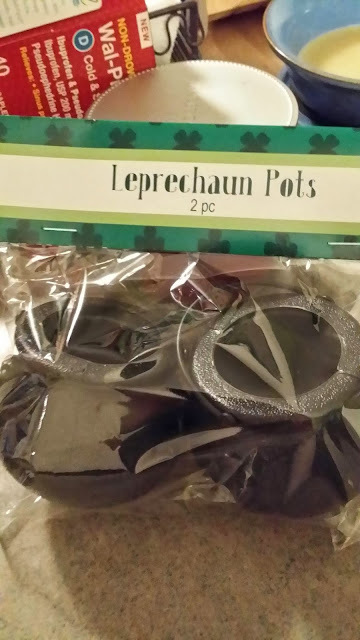 Joanns is the only place I know there selling the little pot of gold containers. I decided I didn't want to go any further to look for the buckets. I went ahead and looked for another alternative and bought little paper greens bags for the rest of my friends. I was kinda bummed I couldn't get more of them little containers I hope the bags will work out. 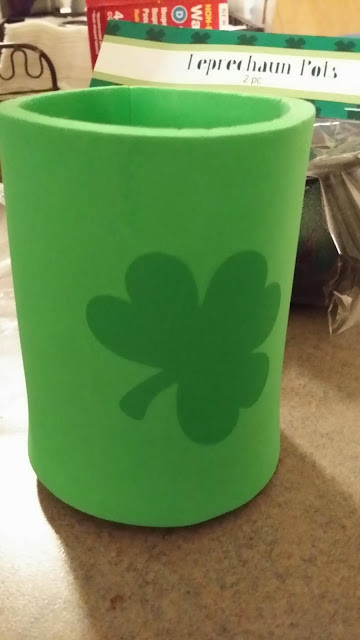 So now that I found what I need to use to fill the treats in, my next quest is to find chocolate coins for the little containers, I hope I can find them this coming week. Looking for the containers was a challenge I just hope the chocolate coins are easier to find. Wish me luck. Have a good week.